This past weekend was surely one to go down in Bassnectar history, and we are so excited that we were able to share it with the Bass Head community!! The Bass Network team kicked off the weekend at Freaky Deaky on Friday – warming up our neck/back muscles for All Hallows Eve. It goes without saying that the set was utterly bonkers, filled to the brim with heavy hitters. We saw many familiar faces roaming through the crowds, and it was clear that the festival served as the perfect appetizer for the Masquerade the next evening! We caught as much shut-eye as possible before zooming to Grand Rapids early the next morning. Halloween morning all of the Ambassadors met at the Porter Hills Retirement Center for a group community service. 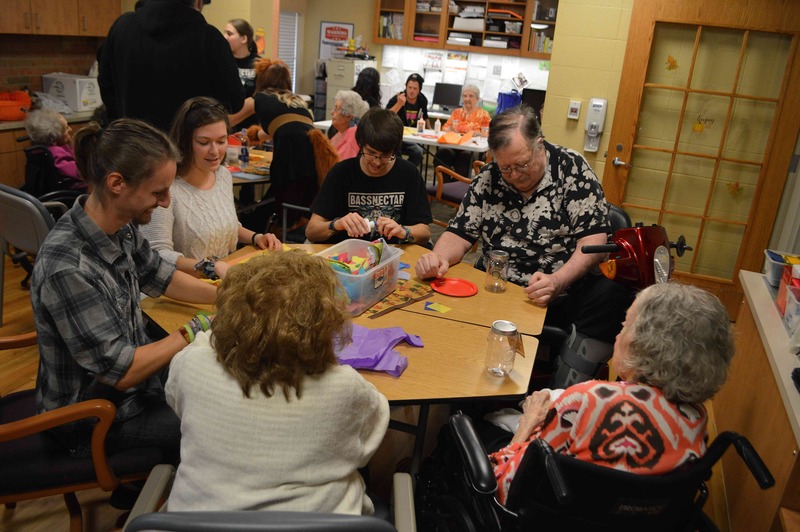 Mobbing nearly 20 volunteers deep, the Ambassadors teamed up with the residents of Porter Hills for some Halloween arts and crafts – an Ambassador specialty! Ambassadors and residents made mosaic night-lights using mason jars, colorful tissue paper, and LED candles. 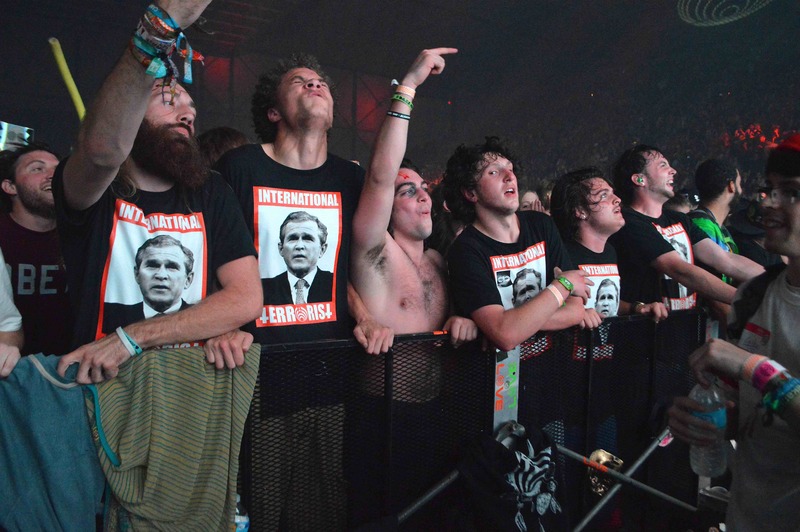 They swapped stories about their interests, life experiences, and of course a little bit of Bassnectar ;). 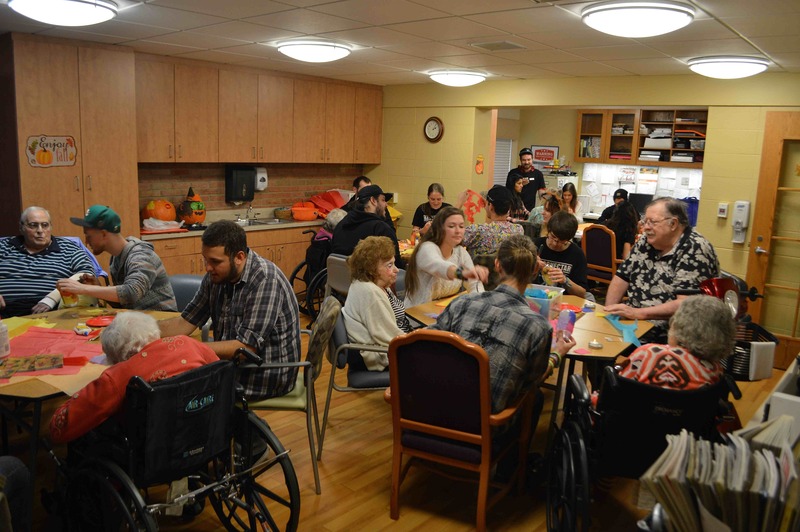 The residents were thrilled to have some young souls roaming the halls, and the Ambassadors were very enthusiastic to learn from our society’s elders. After spending time at Porter Hills, we headed to the venue to prepare for the evening’s shenanigans. Armed with 3 air compressors and over 2,000 balloons, all fifteen Ambassadors + the Bass Network team managed to filled 60 industrial-sized garbage bags with balloons for the balloon drop! Hyped and filled with energy, the Ambassadors took to the Deltaplex lobby to bring the heat and interact with all of the eager Bass Heads coming in from the cold rain! The excitement was REAL!!! The Ambassadors provided a wide variety of projects – ranging from costume contests and group photo shoots to sharing refreshing fruit and playing interactive games. 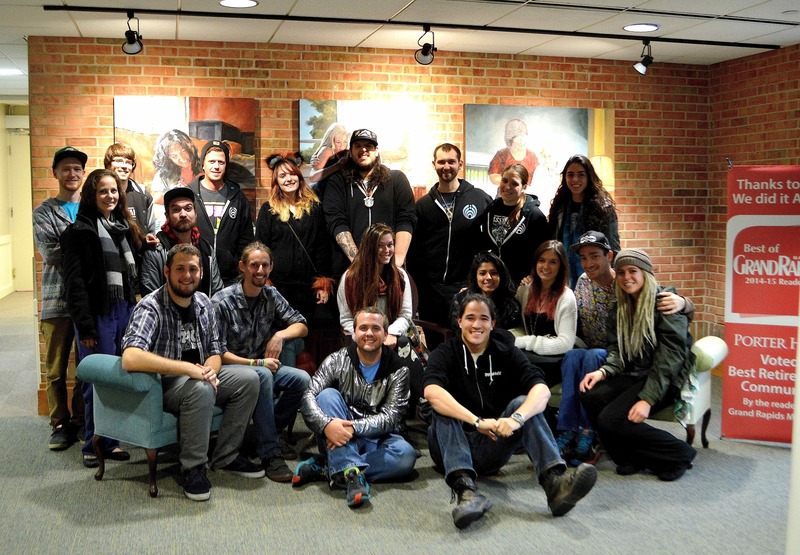 Click here to see photos from our costume contest! One of our most successful projects of the evening was out winter coat drive! By the end of the evening we managed to collect nine massive bags of coats! All of the donations were brought to One Warm Coat. 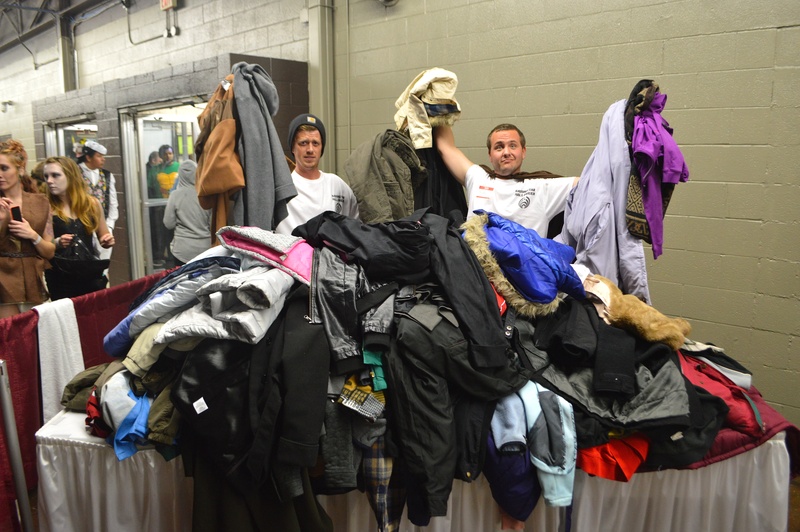 The organization helps allocate coats to those in need all across the country; the only requirement is that the coats are given out for free! We just want to say THANK YOU to all of the Bass Heads who helped spread the word and contribute to this coat drive!! 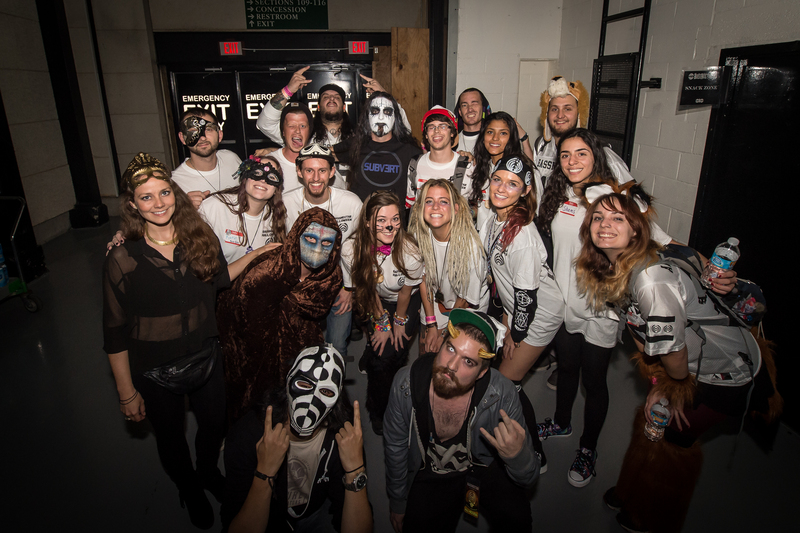 Helping local communities has always been a characteristic of the Bassnectar community, and it would not have been possible without all of your help! 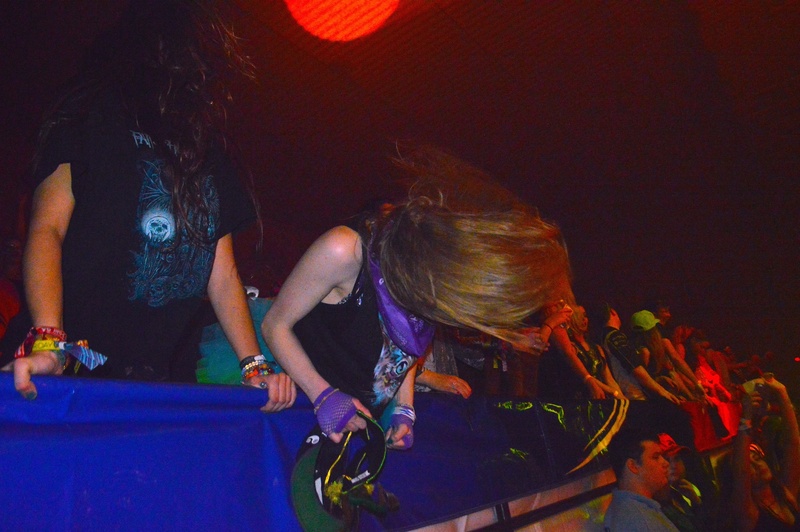 As the projects began to wind down and most fans were inside the area, we geared up for Bassnectar time! 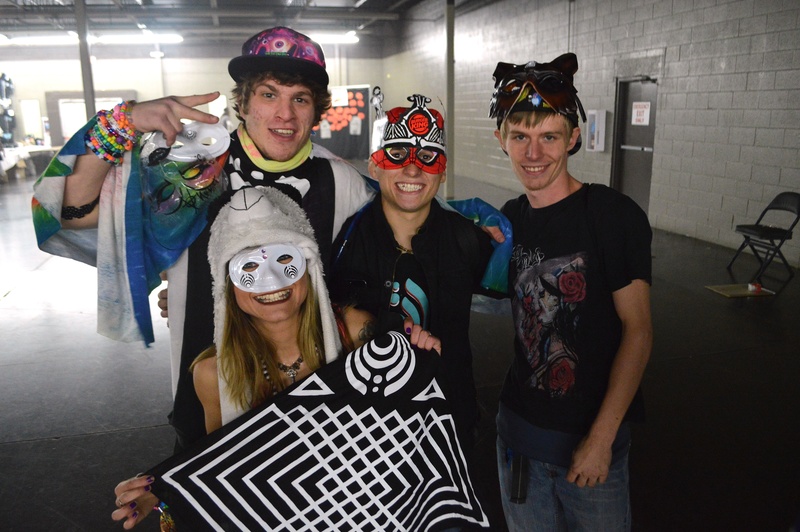 The Halloween Masquerade was the first indoor Bassnectar event of 2015 – and you could truly feel the energy! Everyone was raging so hard that the rain began to pour INSIDE the venue, dripping from the ceiling! All 15 Ambassadors ran around like crazy people giving out as much free water as possible! 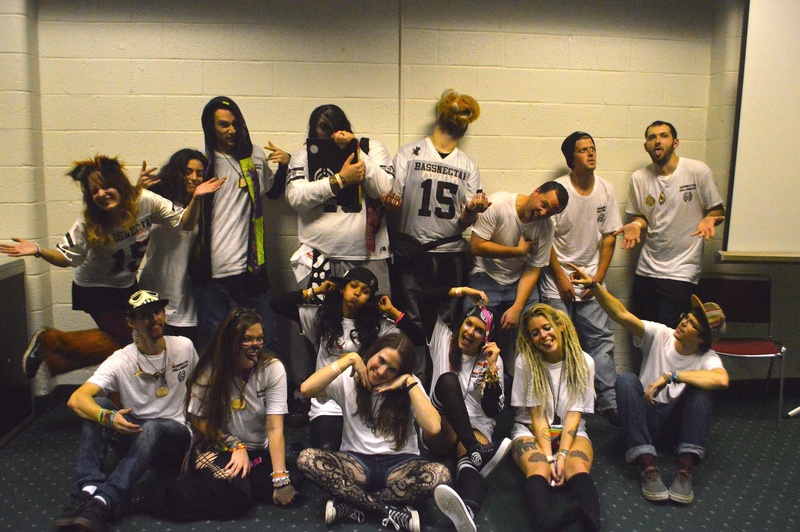 By the end of the night the Ambassadors + Bass Network team were sweaty, exhausted, and satisfied. With Halloween under our belts the only things we can think about in the Bass Network Lab is BASSLIGHTS and NYE 360!! !